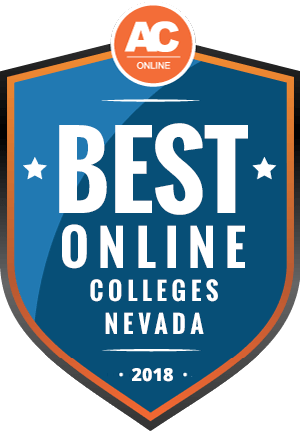 Why Choose Nevada for Online Higher Education? As educational attainment standards continue to rise, 62% of Nevada employers seek qualified candidates with postsecondary school experience, while 18% require a bachelor’s degree. However, 8% want incumbents who hold a master’s or doctoral degree in their field. Bureau of Labor Statistics data shows that many rapidly expanding occupations also require postsecondary education. Students should consider affordable online universities in Nevada to earn a degree that can boost their earning power and marketability. This page includes pertinent information and resources about the most affordable online schools in Nevada for residents and out-of-state students. Students can explore multiple online degrees in Nevada. While traditional students often complete coursework on campus, students with full-time jobs or family obligations often require flexible schedules. The state boasts 20 distance learning programs that allow more than 11,500 students from around the globe to earn their degree at a great value. Nevada’s affordable online universities hold regional or national accreditation and explore the full span of knowledge within each content area. Distance learning provides students access to universities across the globe. However, many universities charge nonresident students additional fees. The data below indicates that out-of-state students attending four-year public institutions pay nearly four times more than Nevada residents for tuition. Similarly, nonresidents attending two-year public schools pay about $6,645 more than residents. Online programs at brick-and-mortar schools often charge out-of-state tuition fees, while many fully online schools charge a flat rate for all students. Out-of-state students should investigate whether prospective schools participate in reciprocity agreements with other states, which may qualify students for reduced tuition rates. Students can also establish residency within 12 months to qualify for in-state tuition. Nevada’s public and private four-year universities charge much less than the national average for residents and nonresidents, while two-year institutions often charge out-of-state students more than the national average. Despite the learning format, students should understand what factors into tuition rates. On-campus tuition rates often include housing, meal plans, and lab fees. Online students often pay for software or tech fees for online coursework. The list below includes base tuition rates in Nevada. The best online universities in Nevada welcome out-of-state students. In fact, more than 670 nonresident students in bachelor’s or master’s programs complete their coursework fully online. While most schools in Nevada charge out-of-state learners higher rates, students may qualify for reduced tuition through formal interstate agreements. Relationships between Nevada and other states vary, so students should examine their home state’s reciprocity details. Nevada belongs to the Western Interstate Commission for Higher Education (WICHE), an organization that orchestrates reciprocity agreements between multiple states. Through WICHE, public and nonprofit schools charge out-of-state students no more than 150% of what residents pay, while private schools reduce fees by 10%. Savings vary by school. However, from 2017-2018, Nevada reported that graduate students saved $1 million and undergraduate students saved $14.7 million through WICHE’s reciprocity agreement. WICHE member states include Alaska, Arizona, California, Colorado, Hawaii, Idaho, Montana, Nevada, New Mexico, North Dakota, Oregon, South Dakota, Utah, Washington, Wyoming, and the Pacific Islands. Students should note that schools retain the right to limit participation. The State Authorization Reciprocity Agreement (SARA) strives to make education more accessible for students. SARA-affiliated schools maintain more uniform standards and allow students to avoid unnecessary tuition costs. While a state may hold active membership, schools can choose not to participate. Currently, nine Nevada schools hold SARA approval. Students should also note that SARA covers individual classes and entire programs. Students may need to verify their program features full coverage. Tuition rates remain ultimately program- and institution-based. Check with your prospective program about what rates apply to you as a potential member of a specific program. To ensure the greatest return on investment, students must consider multiple factors when selecting a cheap online program. Our selection considers the breadth of distance programs, student-teacher ratios, student resources, and job availability for graduates. However, this ranking particularly emphasizes affordability, which includes average financial aid awards, the percentage of students who receive scholarships, and average tuition for full-time students. Students considering programs in Nevada should view the detailed information below. The section below contains commonly asked questions regarding online education in Nevada. Students can use the information below to gain a general understanding about how online programs operate. Do online credits cost more or less in Nevada? In Nevada, colleges and universities charge $8,500 for in-state tuition on average, while some of the most affordable online programs charge much less. In fact, both Great Basin College and Truckee Meadows Community College charge just over $2,500 per year. However, students earning an online education at the University of Nevada-Las Vegas pay just over $6,000. Ultimately, students must outline their educational needs to accurately determine cost. For instance, online learners concerned with affordable rates might consider a public or nonprofit university over a private school. The best online programs in Nevada also offer classes on campus. Therefore, schools may offer students the same tuition because they guarantee the same quality instruction and identical coursework. However, community colleges often boast much lower rates than other institutions. Students might consider online coursework from a community college that could transfer to a four-year institution to make their degree more affordable. Which Nevada schools accept the most transfer credits? Students should note that two-year institutions generally accept up to 60 credits, while four-year programs may consider up to 90 credits. Aspiring Nevada students should also consider that out-of-state students from WICHE- or SARA-affiliated states may qualify to transfer their credits if they meet academic standards. Students transferring from one Nevada school to another may experience an easier transition. In fact, the Nevada System of Higher Education uses common course numbering, which allows students to identify classes that could easily transfer. These courses maintain the same title, number, and credit amounts. Regional accreditation can make transferring credits easier due to similar educational standards. Students from nationally accredited programs may only transfer to other nationally accredited schools. Online transfer students might consider Western Nevada College, which provides affordable education to more than 500 transfer students. The school holds eight outgoing transfer agreements and welcomes students from any regionally accredited school. Western Nevada College accepts up to 75% of total credits required for students’ degrees. Transfer students might also consider Nevada State College, which retains a 14% transfer ratio and provides education to nearly 500 transfer students. Will any online colleges in Nevada accept a GED? GED Testing Service data indicates that 98% of colleges and universities accept the GED as a valid credential. American Council on Education data reveals that more than 18 million people have earned a GED since the exam’s release, and 800,000 took the exam in 2017 alone. However, students should review their school’s admissions policy for details. The GED exam assesses language arts, reading, writing, mathematics, science, and social studies. GED Testing Service data also indicates that only 60% of graduating high school seniors could pass the test on their first attempt. General passing scores remain at 145 per section, while college-ready scores range from 165-174. In Nevada, students must earn at least a 145 on each section. Nevada students may also complete the HiSET Exam or the TASC Test instead of the GED. How many academic terms per year do online colleges in Nevada offer? Traditionally, schools follow fall, spring, and summer enrollment dates. However, many schools like to encourage selectivity. As more students show interest and identify as nontraditional students, more colleges and universities now offer flexible enrollment dates to appeal to more students. Many distance learners must uphold family and professional obligations. Multiple start dates allow these students to take courses at their leisure. While most schools do not offer weekly start dates, students may find programs that offer enrollment monthly or bi-monthly. Many schools operate on traditional semesters, but offer courses that range from 4-8 weeks to allow students to examine coursework more closely. The College of Southern Nevada Online Campus offers multiple courses that range from 4-8 weeks. Schools that offer frequent start dates often administer all coursework online as they specialize in flexibility and the needs of nontraditional students. These programs often boast accelerated program lengths due to condensed coursework. Which online colleges in Nevada will accept the FAFSA? According to the National Center for Education Statistics, 85% of students during the 2015-2016 school year who applied to undergraduate programs for the first time received financial aid. The Free Application for Federal Student Aid (FAFSA) strives to offset education costs. To qualify for FAFSA, students should only consider regionally accredited programs. Enrollment status impacts eligibility. Students must maintain part-time enrollment to qualify for assistance and only receive half of what they would qualify for as a full-time student. Financial aid provides different types of funding, which includes unsubsidized and subsidized Stafford loans, Perkins loans, grants, and work study. Work study requires placement with other university staff members. Few online programs offer work study. However, some schools offer research work study placements that allow students and mentors to work remotely. Are there any free online classes I can take from Nevada colleges? Many students remain unaware that schools often provide free classes. Students should check to see if these course also provide credits. Some courses are only graded pass-fail, thus do not count toward degree completion. Online learners should also note that some courses require live attendance, while others allow students to work at their own pace. At the University of Nevada, Las Vegas, students can take multiple self-paced courses including a digital drawings class where students learn to use rules-based drawing software. Using basic ordering systems, students apply compositional principles and visual hierarchy to develop tangible outcomes. Students may also take digital modeling, which focuses on the relationships between form and space. Design students can explore a digital-to-physical course that challenges them to design modules that can cluster to form massive spatial component systems. At the University of Nevada, Reno, education majors can take an introductory four-week educational psychology course that follows a self-paced format. Psychology and education students can also complete a human growth and development course, which requires six weeks of independent study. How can I find the online program options at Nevada colleges? The Nevada System of Higher Education (NSHE) oversees systemwide functions that impact how the state’s higher education institutions function. The NSHE Database of Approved Academic Programs allows students to view lists of undergraduate and graduate programs in Nevada. NSHE also includes college affordability and financial aid reports. The site’s financial aid section features multiple grant and scholarship opportunities. Students might consider the Nevada Student Alliance, a student government organization that focuses on the wellbeing and interest of Nevada’s college students. Recent resolutions include predictable tuition and fees, public service loan forgiveness, educational resources, and support accessibility. Veteran applicants and students with disabilities can access detailed information regarding counselors, financial support, and state policies through NSHE’s website. Achieving the Dream provides Nevada students with strategic success plans, networking opportunities, and peer engagement. Many students wonder how to fund their degree. Fortunately, many learners qualify for financial aid. Pell Grants cover a large portion of tuition and require no repayment. Students earning an advanced degree or those who cannot prove financial need should consider scholarships. The list below contains possible options. Nevada students studying at the College of Southern Nevada, Great Basin College, Truckee Meadows Community College, or Western Nevada College qualify to apply. Applicants must complete a FAFSA form and commit to 20 hours of community service. Students age 20 or younger can apply and must retain full-time enrollment. Applicants must hold a minimum 3.25 GPA with at least two years of residence in Nevada. Student must earn at least a 1070 on the SAT or a 21 on the ACT. To maintain the scholarship, students must take nine credit hours per semester and maintain a 2.75 GPA or higher. The AAUW supports women who wish to earn degrees at all levels. Women enrolling in programs at the University of Las Vegas, Nevada State college, or the College of Southern Nevada can join as student members to access this scholarship along with many other resources. Applicants should hold a minimum 3.0 GPA. Students enrolled in undergraduate programs at schools approved by the NSHE can apply for this scholarship. Ideal candidates can show community involvement and provide proof of academic accomplishments. Students must take at least nine credit hours each semester. Candidates must earn internal recognition from their school’s committee. Each year, two students entering the last year of their program at eligible institutions may earn this scholarship. Students should hold recognition as a Millenium Scholar. This scholarship requires a minimum 3.5 GPA and students should furnish proof of community service. Applicants must also commit to teaching in Nevada.